Davis Partnership Architects joins the growing list of Advocate Firms for the Evidence-Based Design Accreditation and Certification (EDAC) program from The Center for Health Design. Founded in 1967, Davis Partnership is a continuation of a Denver practice that began in the early 1890’s. Today, Davis Partnership is a comprehensive, collaborative, benchmark-based and client-centric leader in healthcare design with offices located in Denver and Vail, Colorado. 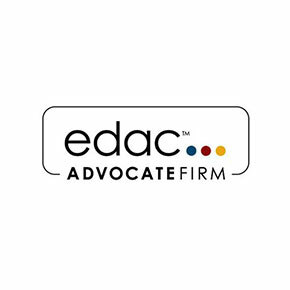 The firm is the latest committed to having 25% of their healthcare studio obtain EDAC certification. These two Focus Groups are a collaborative of Architects, Planners, Interior Designers, and Landscape Architects led by a professional Researcher and a Senior Healthcare Planner. The groups aim to seek, test, and implement the research data directly into the firm’s work and contribute to the greater body of EBD research knowledge. The teams (who are trained in Human Subjects Protections by the National Institute of Health and include EDAC certified members) apply rigorous EBD strategies to conduct literature reviews, post-occupational evaluations, side-by-side comparisons, and other innovative studies.